1 In those days a decree went out from Caesar Augustus that all the world should be registered. 2 This was the first registration when Quirinius was governor of Syria. 3 And all went to be registered, each to his own town. 4 And Joseph also went up from Galilee, from the town of Nazareth, to Judea, to the city of David, which is called Bethlehem, because he was of the house and lineage of David, 5 to be registered with Mary, his betrothed, who was with child. 6 And while they were there, the time came for her to give birth. 7 And she gave birth to her firstborn son and wrapped him in swaddling cloths and laid him in a manger, because there was no place for them in the inn. 8 And in the same region there were shepherds out in the field, keeping watch over their flock by night. 9 And an angel of the Lord appeared to them, and the glory of the Lord shone around them, and they were filled with fear. 10 And the angel said to them, “Fear not, for behold, I bring you good news of great joy that will be for all the people. 11 For unto you is born this day in the city of David a Savior, who is Christ the Lord. 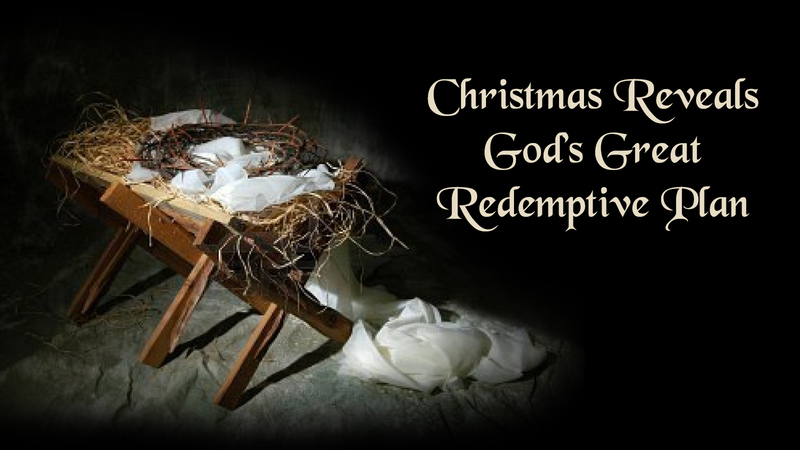 The Nativity charts the way of the life and the death of Jesus, a journey towards Calvary’s cross. 10 And the angel said to them, “Fear not, for behold, I bring you good news of great joy that will be for all the people. 11 For unto you is born this day in the city of David a Savior, who is Christ the Lord. 14 “Glory to God in the highest, and on earth peace among those with whom he is pleased!”20 And the shepherds returned, glorifying and praising God for all they had heard and seen, as it had been told them. Without faith it is impossible to please [God]…. The counterfeit (the opposite of grace) plays itself out in many churches and people, but there is no peace in a counterfeit. What is the opposite of faith? That is people trying to gain God’s favor. 21 But now God has shown us a different way of being right in his sight—not by obeying the law but by the way promised in the Scriptures long ago. 22 We are made right in God's sight when we trust in Jesus Christ to take away our sins. And we all can be saved in this same way, no matter who we are or what we have done. 23 For all have sinned; all fall short of God's glorious standard. 24 Yet now God in his gracious kindness declares us not guilty. He has done this through Christ Jesus, who has freed us by taking away our sins. People are saved when they recognize that they have nothing to offer God, and they are completely dependent upon his mercy and grace. Humility is the starting point for God to work mercifully in our lives. Mercy and grace removes all fear. “Perfect love cast out fear.” (1 John 4:18) The shepherds started out with fear, but they later returned, glorifying and praising God for all they had seen and heard.